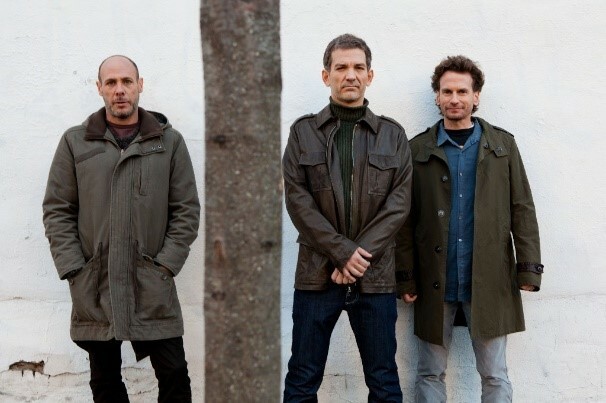 The concert of the Brad Mehldau Trio at Gent Jazz Festival (June 29th – July 8th) is the one I most look forward to. The way the pianist constructs his music, can take you into a kind of trance – at least it does for me! His music always surprises, but is so logically built that you feel that it is the right way. Compare it to a chess grandmaster from whom you’re studying a brilliant match – you experience that every move is the best possible. (And playing the piano is even more difficult than chess: a pianist plays with both white and black!). The pianist’s trio has recently received rave reviews for his latest album. Brad Mehldau, bassist Larry Grenadier and drummer Jeff Ballard shine on “Seymour reads the Constitution!” It’s a varied cd including two pop songs (Friends by Brian Wilson and Great Day by Paul McCartney), plus some standards and compositions from Brad. Earlier this year Brad Mehldau released the solo album After Bach (four preludes and one fugue from J.S. Bach’s Well-Tempered Clavier, each followed by an “After Bach” piece written by the American and inspired by its WTC mate). Hopefully he also performs some of this music on Thursday 5th of July. 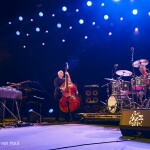 Gent Jazz festival; starts Friday 29th of June and ends Sunday 8th of July. In all there are over 30 concerts over seven days. On the opening day of the festival, David Byrne is the great attraction. The singer and guitarist became famous as a member (and founder) of the band Talking Heads, but over the years he has become a versatile artist. He is on tour to promote his new album “American Utopia”, but he also performs older work, from the Talking Heads period. Sunday 1 July Melanie De Biasio is the star of the day. The Belgian singer and flutist mixes jazz, blues, pop and soul in her performances. She is undoubtedly the first lady of Jazz in her native country. Flamenco Guitarist Myrddin de Cauter shows his virtuosity on Tuesday, July 3. He has three sets on the Garden Stage. His daughter, cellist Imre, sits in on one set, and Tineke Postma joins him as well. French trumpeter Stephano Belmondo pays tribute to Chet Baker. Singer Tom Jones closes the day on the Main Stage. Not to be missed on July 5th is the band Hudson. It’s a collaboration between Jack DeJohnette, Larry Grenadier, John Medeski, and John Scofield. 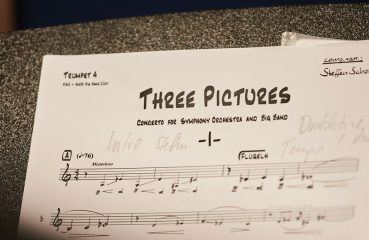 The four celebrate the music of Bob Dylan, Joni Mitchell and Jimi Hendrix in a mix of jazz and blues. On the same day Chico Freeman performs as one of the main acts. And Belgian pianist Natalie Loriers performs with one of the leading ladies on the alto saxophone, Tineke Postma. On Friday the 6th of July pianist Jef Neve will perform “Spirit Control”. Plus, fans of Paolo Conte will be delighted to see him perform on the Main Stage. Saturday 7th July has a wonderful mix with Jason Moran & Band Wagon and Vijay Iyer Sextet playing on the Main Stage. The ever popular Pharoah Sanders returns once again. The saxophonist has invited trumpeter Nicolas Payton to perform with him. If trumpet is your thing, you can also listen to Ambrose Akinmusire, another trumpet star who has three short concerts at the Garden Stage. Singer songwriter (and rising star) Selah Sue is one of the main acts on Sunday 8th July, the closing day of Gent Jazz Festival. 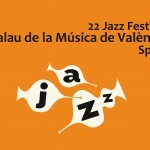 For more information and ticket purchase, please visit the: Gent Jazz Festival website. Photo credits: Gent Jazz 2018 – and (c) info: all rights go to original recording artist/owner/photographer(s). 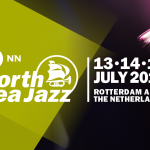 North Sea Jazz announces International Line-up. 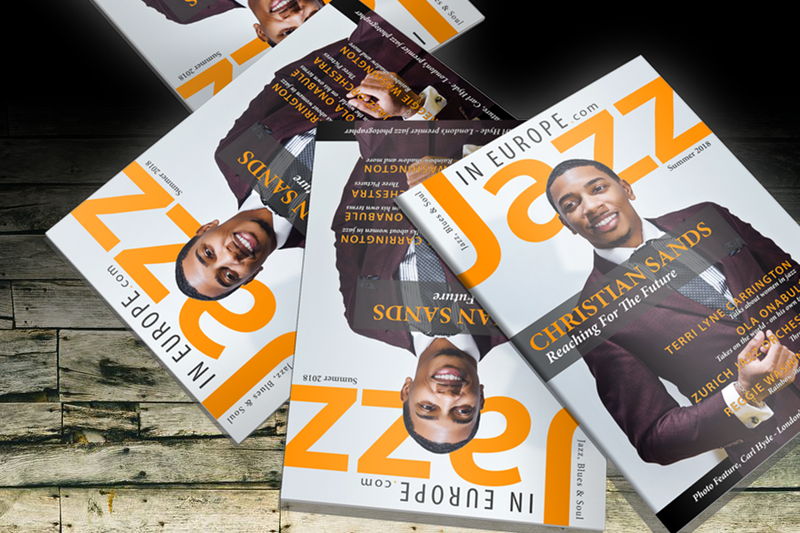 Introducing the Jazz In Europe Print Magazine.